We achieved our first surplus in nine years of austerity. We moved into open plan premises at Childers Street, Deptford designed to be inclusive and fully accessible. We celebrated our 25th anniversary with a Celebrating Success event for 350 people at the National Maritime Museum in Greenwich which included awards for Independence and Community, Speaking Out, Volunteering and Gr8 Support. Two more beneficiary Trustees joined the Board. We achieved Silver under revised IIP standards. After a hiccup in one service, we achieved a Good performance rating from the CQC in all 27 services. We started the Well Connected programme in partnership with Blackfriars Settlement and funded by the Big Lottery. We won a contract to develop and provide support to the South East London Transforming Care Partnership Forum and to consult patients and families about their experiences of ATUs. We completed the pilot of a new Health Action and Emergency System under Project 17 and participated in an Active Support pilot in Newham. We became founder members and pioneers of the Gr8 Support Movement led by Paradigm. We won a tender to provide day opportunities to people with Learning Disabilities in Lewisham in partnership with Lewisham Nexus, Aurora and PLUS. We became the lead provider at the Mulberry Centre, running a social enterprise kiosk café at the Waldron Health Centre and a GROW project at the Ladywell Centre. We launched the innovation, Project 17, aimed at restoring human value in systems, reducing waste and releasing time for support. We were one of the founding members of new national organisation Learning Disability England. We closed our Crossways Day Services in Southwark and abandoned a two year project aimed at replacing it with a social enterprise cafe because of a change in strategic direction by the Council and CCG. We achieved the quality mark 9001. We started work in MADTA and Barclays on a new business plan. 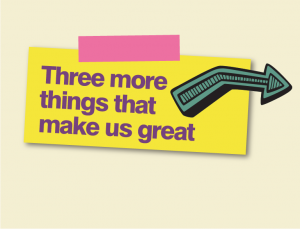 Ipsos Mori Ethnography Team worked with us on research into social networks and well-being. Three Cs achieved 100% compliance with CQC standards in all mental health and learning disabilities services. The web app Max Out in Southwark for mental health service users was launched. We won three new services in Lewisham and published research What We Want: to support positive mental well-being in Southwark. Three Cs achieved £220k sales of personal budgets one year after its ‘Support4Living’ services were launched. We celebrated our 20th Anniversary and launched a new Innovation Group which oversaw the ideas, development and product testing of Max Out in Southwark. We started our volunteer programme which deployed 190 volunteers over the next five years. In 2012, Three Cs achieved 100% compliance with Care Quality Commission standards in mental health residential care services, and in domiciliary care and support. We achieved Investors in People Bronze Standard, were finalists in the Laing and Buisson Healthcare Awards, and won National Training Award London Region ‘Employer of the Year’ 2012. In 2011, Three Cs increased focus and investment in social inclusion to include a permanent job coach, and a volunteer and social activities worker – and the wholesale re-modelling of its mental health day services. We also won a major transfer of Local Authority supported living services in Lewisham. 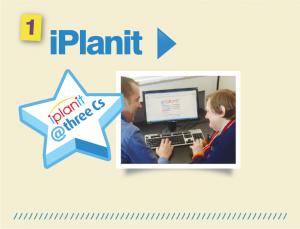 In 2010, Three Cs became the first organisation nationally to launch iPlanit, a web-based tool to track outcomes and put the action into planning. Three Cs held a series of three Celebrating Success events and made 82 awards for Independence and Community to celebrate people’s achievements. Four new services were won in Redbridge. 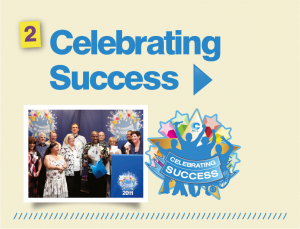 In 2009, Three Cs got a Three Stars Excellent rating for its domiciliary care services, was re-recognised under Investors in People, introduced an employment pool and social inclusion activities and started on the path to becoming an outcomes-focused and evidence-based organisation. Between 2004 and 2008, Three Cs extended its services to Greenwich and Newham, funded a mental health outreach programme and a transitions project from its reserves and won a national training award. The Cs were changed to ‘Control and Choice in the Community’ signalling a new rights-based approach to services. In 2002, Three Cs merged with Crossways Association to become provider of mental health residential, supported living and day services in Southwark. It was also involved in the national pilot of person-centred planning. Three Cs was set up in 1993 to provide supported living in the community for people with learning disabilities as a result of the hospital closure programme. The Cs originally stood for ‘Committed to Care in the Community’.